Well I missed a post. I was trying to post every day for NaBloPoMo (National Blog Posting Month) but yesterday I was in so much pain I took some pain medicine and slept the rest of the day. I am going to keep going though and see if I can make it the rest of the month. 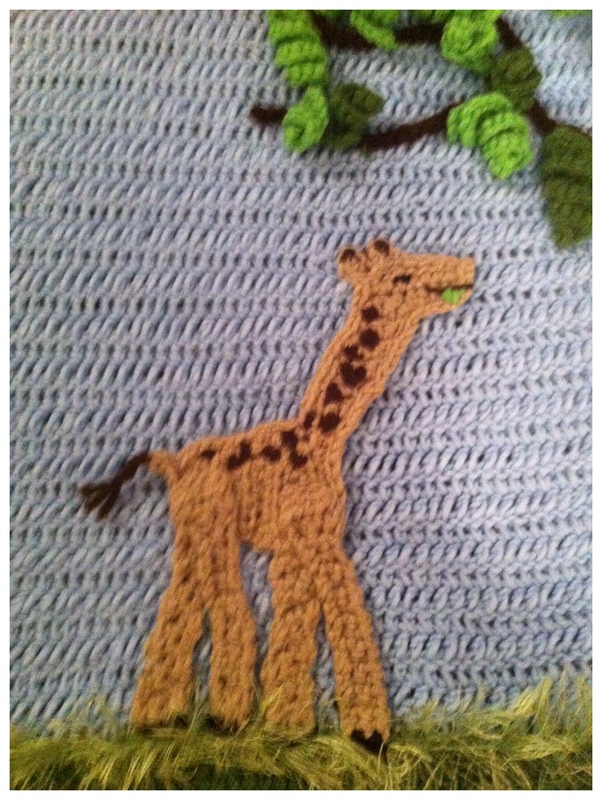 Yesterday, I was working on a blanket for my great nephew who truly is GREAT and deserves the best. 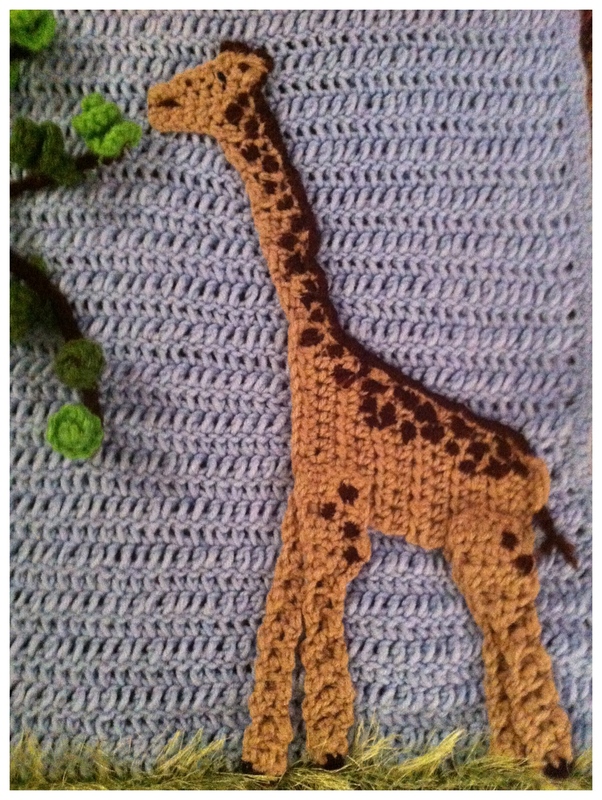 I started making this Giraffe blanket a long, long, long time ago and there where several errors in the pattern that slowed me down. There is an update available so if you ordered the electronic version of it you can just go back to where you ordered it from you download an update. The update isn’t perfect though but it is close enough to figure it out. I finally had all the pieces made and just needed to stitch them to the blanket very securely so they wouldn’t come off and be a chocking hazard. I was working on the floor to make sure each piece would lay flat. My back started to hurt but I wouldn’t quit until I was finished. Then I decided to sit on the couch to rest my back and make some more “leaves” for the tree. I didn’t last long though. I couldn’t stand the pain so I took something and slept until 3:30 this morning. My back is still hurting but I am just going to rest as much as possible today and finish that blanket. When I’m done I’ll post a picture. Well I went to vote today and it was 22 below zero BRRRRRrrrrrrr! I wouldn’t have left the house if I didn’t need to vote. After I got back home I ordered Chinese for my boys and I. My oldest doesn’t have any classes today and my youngest stayed home not feeling well. We had planned on all going to vote today (my oldest is 18 now) and Riley can just talk (which he is good at) and then we were going to go have Thai food. Well no one was feeling well today and it was so cold that I ordered in. It was very good and hot…..and I didn’t have to go get it! After I got home I worked on that blanket and got it finished! I’m so glad it is finally finished! 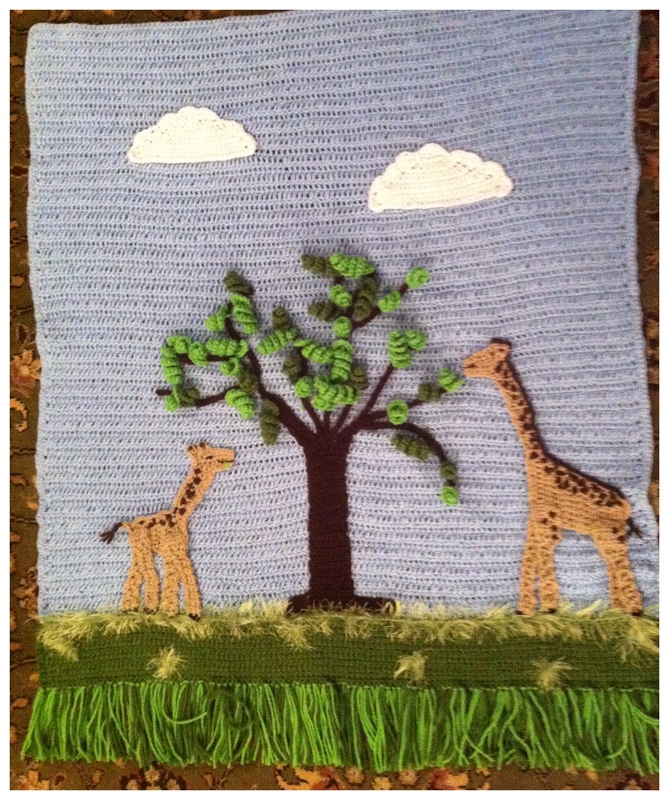 What a beautiful blanket! Gorgeous!! Hard to believe it is that cold anywhere, with our 80+ degrees in Arizona. Thank you. I’m so glad to be finished with it. Oh and I would love to be in Arizona right now. Thank you so much for the compliments on the blanket. I think my husband was surprised I finished it. I has been so cold here and I just stay inside as much as possible. I need to move someplace warmer. Maybe someday. Right now my husband hates to leave his good job.